The Saskatchewan Roughriders have taken over Griffiths Stadium on the U of S campus again this year for the team’s 2015 training camp. This is the third consecutive year the team has used University of Saskatchewan facilities—residences, food services and the Griffiths playing field—to prepare for the upcoming Canadian Football League season. On-field workouts started May 31 and will continue through June 17. The players and coaching staff will then return to Regina to prepare for a preseason game June 19 against the Calgary Stampeders at Mosiac Stadium. 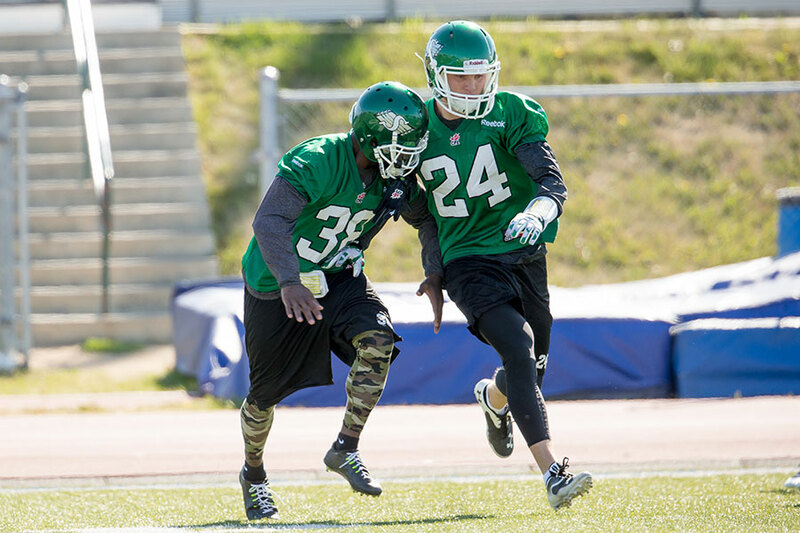 The practice schedule for Rider training camp can be found on the Riderville website.